… to the coastal waters of Muscat and Masirah Island there is a huge spectrum of environs to be explored and discovered. Coastal waters are a haven for dolphins, whales and birds while coral gardens teem with colourful fish and protected coves provide breeding grounds for endangered turtles. Oman is a breeding ground for the majestic sea turtle with more than 20,000 nestings occurring between May and October with an estimate of 50,000 to 60,000 eggs being laid. The protected turtle reserve at Ras al Jinz in the eastern most corner of the Sultanate offers an unforgettable moonlight encounter with the opportunity to witness each stage of the nesting cycle. This starts with the female turtle making her way up the beach, digging a nest and laying hundreds of eggs, to the end of the cycle with the special moment the baby turtles hatch to take their first steps towards the ocean. Further afield the mountains and deserts are home to rare land mammals including wild goats, sand cats and Nubian ibex and while Jebel Samhan Reserve harbours endangered Arabian Leopard, Al Wusta Reserve in the central desert is one of the few places in the world to view a breeding population of Arabian Oryx. For thousands of years camels- affectionately known as the ‘Ships of the Desert’, have also played an important role in Omani culture. And while they were traditionally used for transport, food and shelter- today they are also used for racing and tourism adventures. Equally as important is Oman’s long and proud history of breeding Arabian horses and what better way to discover the country’s unique sights than on horseback? From winter to early spring the rosewater villages of Jebel Akhdar are a magnificent spectacle with thousands of rose bushes cascading down the terraced mountainside creating a verdant curtain of pink-dotted foliage. On the arrival of spring in March, the petals are plucked by hand in the cool of the morning, then gently boiled to produce a vapour which condenses into the finest rosewater and rose oil. While the rosewater villages of Jebel Akhdar offer annual spectacle in the valleys the tranquil pools of Oman’s wadis (riverbeds) provide an invigorating opportunity to escape the heat of the day. With secluded swimming holes sheltered from the sun, these watercourses have been sustaining plants, animals and communities for centuries. In the southern province of Dhofar the annual summer khareef (monsoon) sends water pouring into coastal wadis, creating picturesque waterfalls and turning the countryside a striking green- not to mention providing a welcome sanctuary from the scorching summer heat of the rest of the region. And what happens when a limestone chamber collapses, opening up a meteor-sized cavity in the earth? It creates the most spectacular emerald-tinged sinkhole. The Bimmah Sinkhole in Hawiyat Najm Park is 40 metres wide, 20 metres deep and an idyllic swimming spot en route from Sur to Muscat. Just a 3 hour drive from Dubai, the dramatic fjords of the Musandam Peninsula – Oman’s northernmost tip – bring a touch of Norway to Arabia. Rather than verdant coastlines you’ll discover a deserted landscape and towering cliffs that plunge into turquoise water brimming with reefs and sea life. The sheer diversity of Oman’s landscapes will astonish and inspire you so pack your swimmers, boots and binoculars, and get ready to discover Oman’s wild side. 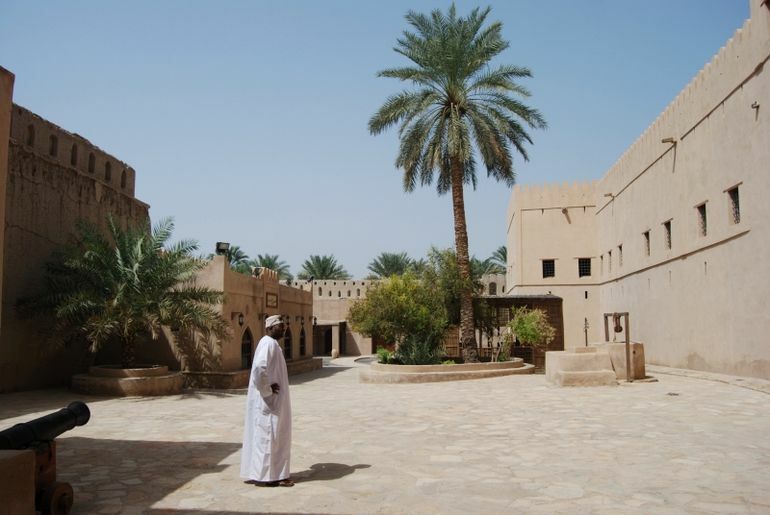 Interested in planning a trip to Oman?